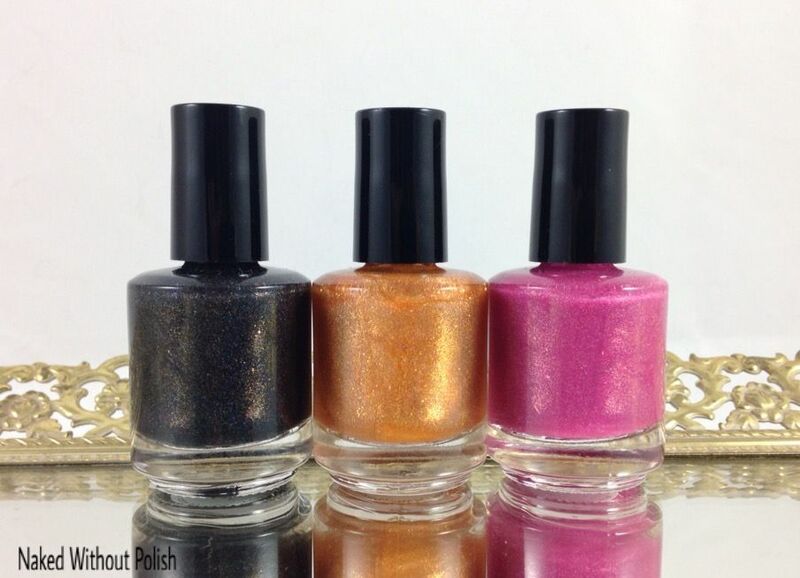 Did you all enjoy the one coat holos of the Dreamology Collection I showed you all yesterday? Well, just wait until you get a load of the 10 piece thermal Goosebumps Collection that SuperChic Lacquer is releasing at the same time. This is a doozey of a post. I have a lot to show you. Let's get to it! It's that time again!!! 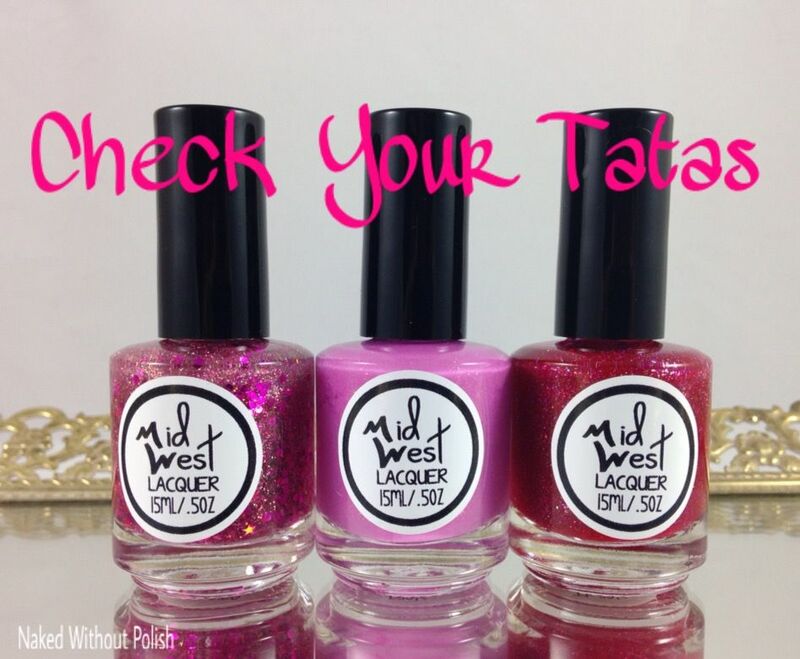 SuperChic Lacquer is releasing new beauties!! This time, she's releasing two collections! I've got the Dreamology Collection to show you all today, and tomorrow I'll show off the Goosebumps Collection. I'm going to jump into things, because one coat holos are an incredibly amazing find, and I've got six of them to show you today! 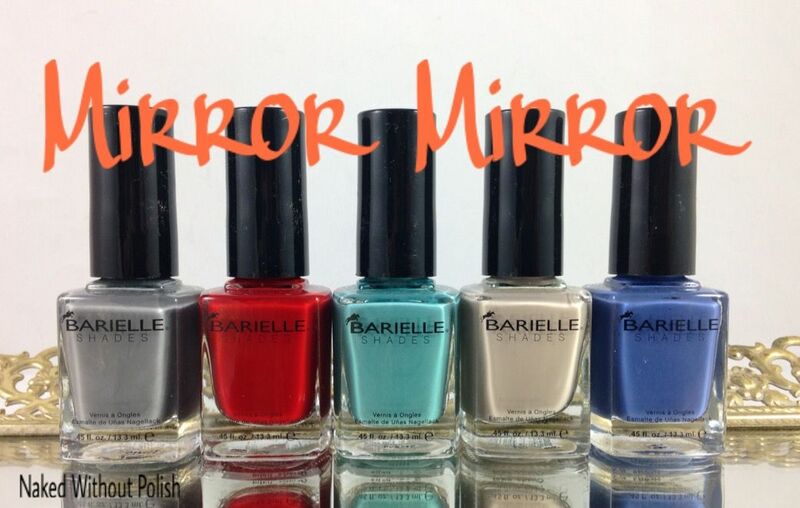 It's a little late, but I've got the beautiful Mirror Mirror Collection from Barielle to show you all today. I was super excited to see that this collection was all creams. Barielle makes a fantastic cream!! And after the bad formulas of the last glitter collection it was much welcomed. On top of that, the colors are beautiful! Trust me, bottle shots don't do these justice! Anyone thirsty?! 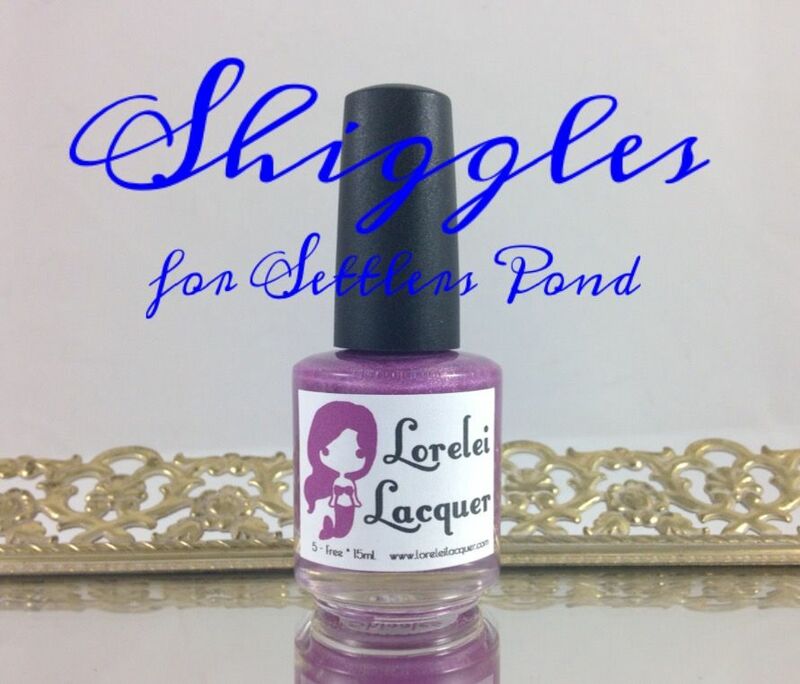 Top Shelf Lacquer is back with another collection just ready to quench any thirst you might have. The Margarita Time Collection is here to make sure it's Happy Hour any time you want it to be. You ready to get a peek at these?! Is anyone else loving this season of Big Brother as much as I am?! I think Maria over at NailNation3000 is! So much so, that she created a huge, 21 piece, Big Brother 17 inspired collection called the Haves and Have Nots Collection. Now, I don't have the whole collection to show you all, but I've got 6 of them on the blog today. These 6 are beyond incredible. 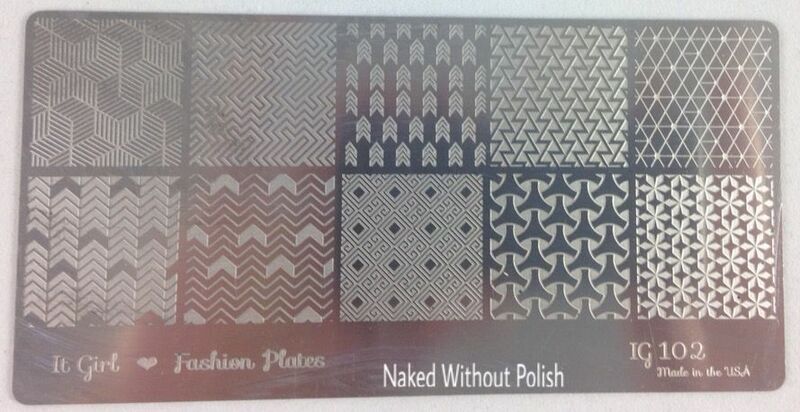 Three of these have a matte finish, and the other three are glossy. If you know me, you know I love matte polishes. I was stoked to see she included mattes in the package. Such a joy! I can't wait for you all to see these...so...why wait? Let's get to it! LynBDesigns has struck again!! She is releasing another series of Harry Potter inspired mini collections. What I have to show you all today is The Trinity Collection. 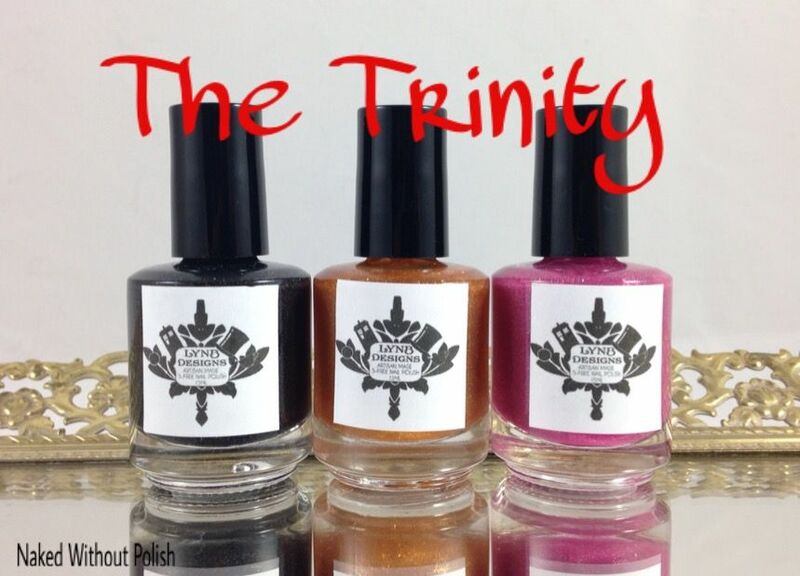 This is a trio inspired by the main characters in the books/movies. These three are wonderful and strong. They would work well together or alone. You can tell they are fully inspired by Harry Potter, Ron Weasley, and Hermione Granger. I have had these for a while and have been so antsy to show them off...let's get to it! 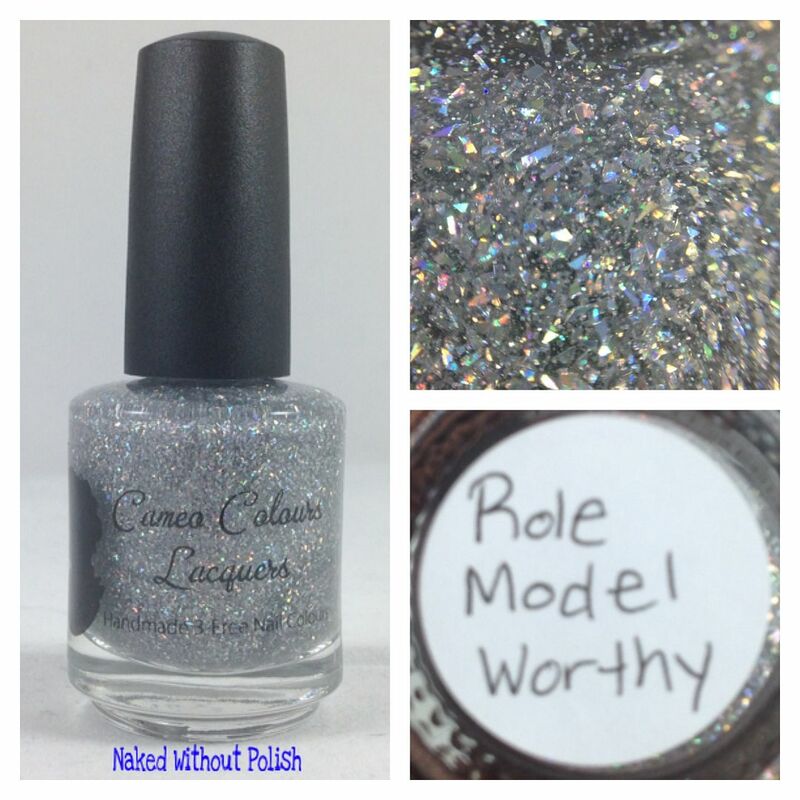 I've received several new beauties from SinfulColors Back to School sets to show you all. Some are colors that have been around for a while, but most are new colors. SinfulColors has been doing such a great job with their new polishes. Each collection gets more and more impressive in my opinion. Well, I've got 10 pretties to show you so let's jump right in! YOU GUYS I STAMPED THINGS!!!!! Ok, I had to get that out of my system. I'm sorry I gave myself a long weekend away from the blog. Hubs came home on Friday, from being out of town for a few days, and came home early and had me take him to urgent care. Which took away from the cleaning and errands I needed to do for munchkin's first sleepover to celebrate her 6th birthday. Then yesterday, the kids didn't have school but she had a doctors appointment that then turned into an afternoon of fun. Anyway, lets get to the good stuff. I've faced a fear. I admit I've been incredibly intimidated by stamping. The thought of doing it just gave me anxiety attacks and I have no idea why. Then, It Girl Nail Art came along. It is a new indie stamping brand. She took a risk and gave me a chance. I mean, if I can stamp then anyone can stamp. 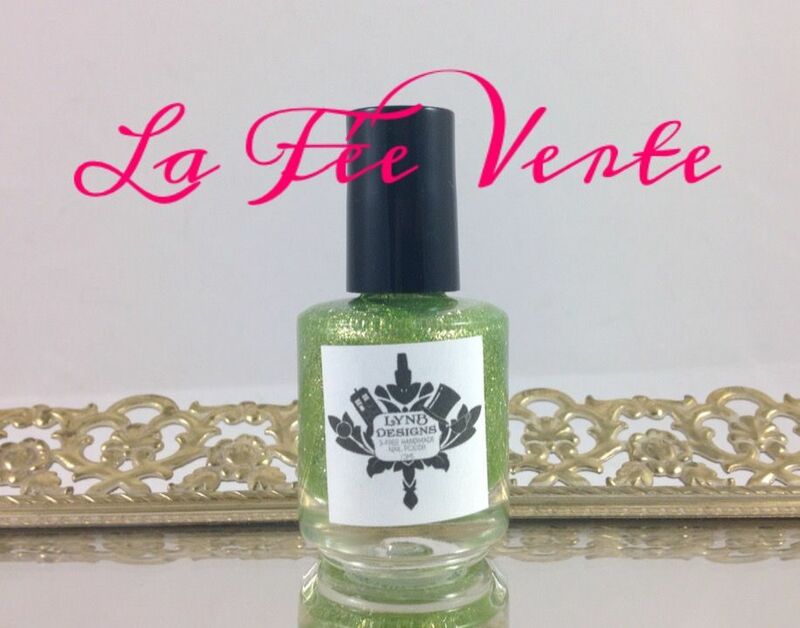 Over the past year or so I've been raving about the amazing Marvel Liquid Macro top coat from SuperChic Lacquer. Now, I get to show you all a new base coat from her. This base coat is something special. When I was first reading about Bring It On, I thought it was too good to be true. I mean a base coat that color blocks, color bonds, AND chip resists? No way! On this Monday, I have a collection from a new to me indie. 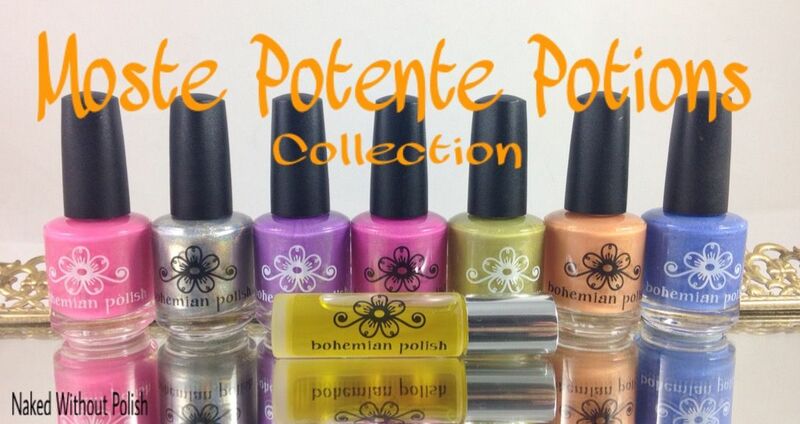 The Moste Potente Potions Collection from Bohemian Polish. I had never tried them before, but when this collection arrived it had me questioning why I hadn't tried her before. I mean, look at how beautiful these are! As I was unwrapping them, each one was more beautiful than the last. Then the cuticle oil was unwrapped and a heavenly scent filled the air. 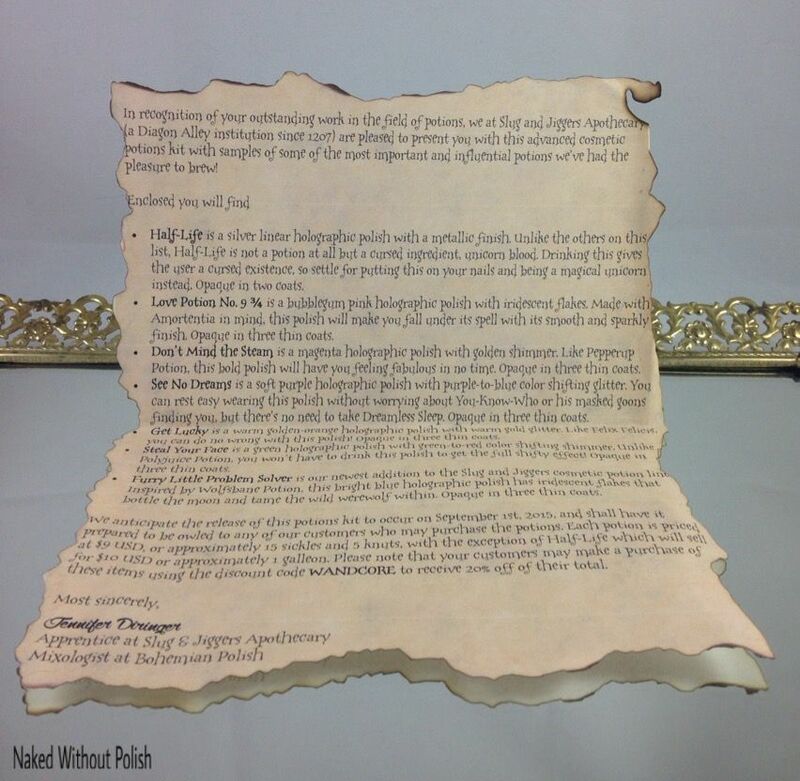 Look at how incredible the description list was that she included! Great attention to detail! Ready to see more?! 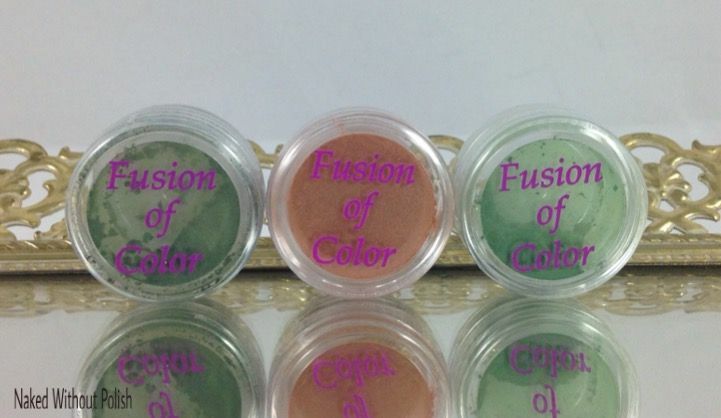 I normally post about nail polish, but I was sent a few sample sized pots of eyeshadow from Fusion of Color Cosmetics to review. It was something new, so I thought I'd give it a shot. So take a peek at these lovely colors, and let me know what you think.